Socialcam, the popular though sometimes spammy video sharing app, is taking its services to Autodesk (s adsk), which bought the small startup for $60 million. Autodesk, known for its design and engineering software, expects to close the deal in the third quarter and is reportedly set on keeping Socialcam independent. Socialcam spun out of Justin.tv last year and managed to attract a lot of users with its ability to easily edit and share videos. The mobile app has generated 16 million downloads on iOS (s aapl) and Android (s goog). Socialcam has 55 million active monthly users on Facebook (s fb), making it the top Facebook app. Autodesk said it would like to use Socialcam’s services to help its professionals and consumers share design ideas and make its existing technology more accessible to users. It plans on investing in the platform to help it scale and create more tools for users. 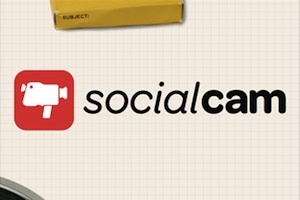 Socialcam, a Y Combinator graduate, raised a seed round in April from a list of big name investors. But the company has remained small with just four employees. It will join other Autodesk acquisitions like Pixlr, SketchBook in its consumer products group. With a $60 million exit for Socialcam, it’s unclear if anyone will reap a big windfall in the Instagram of video sweepstakes. Video is still not as easy to shoot or view compared to pictures. That makes it harder to recreate the success of Instagram, which is built around simple sharing of photos. SocialCam has its pros and cons – especially compared to Viddy. This could actually be a good boast for SocialCam, if the company plans to make it less spam and more usable for Facebook users.